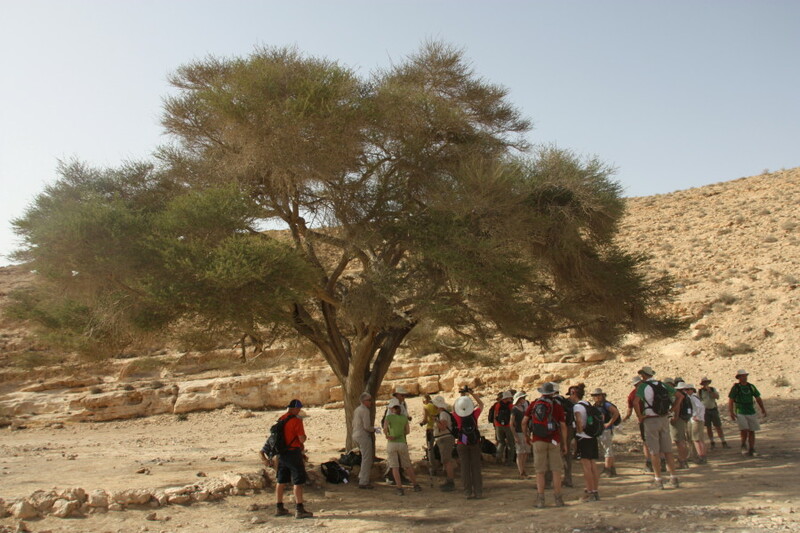 An acacia tree in Judea. Photo by Anja Noordam. What do you picture when you hear this verse? Do you picture a lush tree beside a beautiful stream of water? A mighty oak or majestic maple? Or do you picture the tree above? I’m guessing you may think the above is a stretch. However, after learning about this tree, I am more convinced that this is indeed the tree the psalmist speaks of. The acacia tree is one of the slowest growing trees in the world. You will often find them growing along dry riverbeds (wadis) in the Judean wilderness. These trees can sometimes go 10 years without water. Over time they will go dormant. But when the rains come they once again bloom and bear fruit. If you look up acacia wood in the Bible you will see it has a very special function. Acacia wood was used in the furniture for the Tabernacle. The ark of the covenant, the table for the bread of the presence, the altar of burnt offering, the altar of incense, even the upright frames, were built with acacia wood. The acacia has much to give. It provides shade for those who rest under it. Its sap is used as healing ointment for injuries and ailments. One kilo of the pods it produces, soaked in water, can feed a camel for a week. When branches die or have broken off, they are an excellent source of heat. The branches burn slowly with much heat because of the hardness of the wood. The acacia provides all kinds of things in a place where there isn’t much. If I’m right that this is the tree the psalmist was speaking of, how can we be more like the acacia tree? Let’s return to the psalm. We become like the acacia when we delight in the law of the Lord — God’s word. We are like the acacia when we study and wrestle with God’s word day and night. We, too, might be slow growing. We might have periods of drought where all seems dormant. Yet, when the rains come we will bear fruit in season. When we study and wrestle with God’s word, we become like the acacia — a blessing to others. We show others who God is — one who provides shade for the weary, healing for the sick, food for the hungry, warmth for the cold. Will you live as the acacia?